Insomnia or Dyssomnia is a sleep disorder which affects about 40% of adult in generally populations. It is not a disorder or disease but a symptom (Nabili 2010, p.1).The main indications included difficulty falling sleep or sleep initiation, staying asleep or sleep maintenance, as well as fewer hours in sleep and/or non-refresh morning awakening (Kalavapalli and Singareddy 2007, p.184). It usually occurs at least four days a week and last more than 3 weeks. In compare of 10 to 15 percent of the adult who have chronic insomnia, approximate 25 to 35 percent suffers are transient or occasional insomnia. The main symptoms of insomnia are tiredness, low motivate, migraine or headache, distraction, slow response, either mentally or physically fatigue or both. According to the difference of the symptoms, length (hours) and factors, there are three types of insomnia in each groups. The first group which divide by different symptoms are primary insomnia (difficulty to fall sleep), mid-insomnia (difficulty to martinet sleep), and termination insomnia (weak up early).by length, if the problem lasts less than a week, it is temporary insomnia. On the other hand, if it in between a week and a month, it is called short term insomnia. If the syndrome last from 30 days to one year, it is generally described as chronic insomnia (Kalavapalli and Singareddy 2007, p.184). Based on the causes, there are several different patterns which including: physical, mental, pathological and medicinal insomnia. The causes and risk factors of this disorder are various.Chronic diseases, physical and environment, psychological and mental, and medication and chemicalsare necessary to lead insomnia. 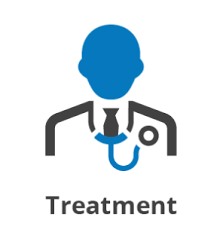 The main treatments are medication, psychologist, lifestyle change, and equipment support (buying some "healthy pillow", "healthy mattress" and "infrared pillow" which can help to fall sleep). Both of excess and deficiency patterns may lead to insomnia. To distinguish the excess or deficiency of the causes are important for a TCM practitioner.The excess patterns include liver fire blazing, heart fire blazing, phlegm-heat, harassing the mind, heart qi stagnation, heart blood stasis, residual heart in the diaphragm, retention of food, liver qi stagnation.Deficiency patterns include heart and spleen blood deficiency, heart yin deficiency, heart and kidney not harmonized, heart and gallbladder deficiency, liver yin deficiency, and liver and kidney yin deficiency. The clinical manifestations of Liver Fire Blazing are restless sleep, unpleasant dreams, nightmares, dreaming of fires, irritability, propensity to outbursts of anger, bitter taste, headache, dizziness, red face, thirst, dark urine and dry stools. Red tongue, redder on the sides with a day-yellow coating. Wiry and raid. LV2, LV3,GB44, GB12, GB20, SP6, BL18, DU24, GB13, GB15, BL47, BL62, BL1, KI6. Clinical manifestation of Heart Fire Blazing are waking up during the night, nightmares, dreams of flying, mental restlessness, bitter taste, thirst, tongue ulcers and palpitations. Red tongue body, redder tip with red points, yellow coating. Rapid and overflowing pulse on the left front position. HE8, HE7, SP6, LI11, REN15, DU19, BL15&44. Reducing method. Phlegm Heat Harassing the Mind: restless sleep, tossing and turning, unpleasant dreams, nightmares, snoring, a feeling of heaviness, dizziness, a feeling of oppression of the chest, nausea, no appetite, palpitations, feeling of heat, sputum in the throat, mental restlessness and a sticky taste. Red tongue with a sticky yellow coating. Heart crack or Stomach heart creak with sticky rough yellow coating inside it. Slippery and rapid pulse. ST40, REN12&9, SP9, BL20, LI11, ST8, GB12, SP6, ST45, SP1, REN12, BL20. Reinforced. Heart qi stagnation: insomnia, palpitations, a feeling of distension or oppression of the chest, depression, a slight feeling of lump in the throat, slight shortness of breath, sighing, poor appetite, weak and cold limbs, slightly purple lips, pale complexion. Slightly pale-purple on the sides in the chest area of the tongue. Empty but very slightly overflowing on the left front position. HT5&7, REN15&17, LU7, ST40, LI4. Reducing or even method. Heart blood stasis: insomnia, dream-disturbed sleep, tossing and turning in bed during the night, palpitations, chest ache, mental restlessness, anxiety. Purple tongue. Choppy or firm pulse. HE5&7, PC6, REN15&17, BL7&44. Even. Residual heat in the diaphragm: restless sleep, waking up during the night, mental restlessness, cannot lie down or sit, a feeling of stuffiness of the chest, epigastric discomfort and sour regurgitation. Red tongue tip or red spots around the center. Deep and slightly rapid. LU10, HT8, BL17, ST40, LI11, SP6, REN15. Reducing method. Retention of food: insomnia, restless sleep, excessive dreaming, dullness, pain and distension of the epigastria which is relieved by vomiting, nausea, vomiting of sour fluids, foul breath, sour regurgitation, belching, loose stool or constipation, poor appetite. Thick white or yellow tongue coating. Forceful and slippery pulse. DU24, REN10, 13&15, ST21, 44&24, SP4, PC6, ST40, ST19, KI21, REN12. Reducing or even method. Liver Qi stagnation: insomnia, restless sleep, dreams of worry or anger, hypochondrial and epigastric distension, moodiness, tendency to depression, premenstrual tension with breast distension. Normal tongue body or redness on the sides, wiry pulse. SJ6, PC6, LV3, GB34, GB13, DU24, BL47. Reducing or even. Heart and spleen blood deficiency: insomnia, difficult in falling asleep, palpitations, tiredness, poor appetite, slight anxiety, blurred vision, dizziness, poor memory, pale face. Pale tongue with choppy pulse. ST36, SP6, HT7, REN14&15, BL15&20, PC6, SP4&KI9. Reinforcing. Heart yin deficiency: insomnia, waking up frequently during the night, dry throat, mental restlessness, palpitations, night sweating, poor memory. Red tip and crack on the tongue body, no coating. Empty and floating pulse. HT7, BL15, REN14, SP6, ST36, REN4, reinforcing. Heart and kidneys not harmonized: insomnia, waking up frequently during the night, difficulty in falling asleep, dry throat, night sweating, five palm heat, poor memory, palpitations, dizziness, mental restlessness, tinnitus, backache. Red and dry tongue, red tip with crack, no tongue coating. Forceful but empty pulse or slightly rapid. HT6&7, PC7, REN4, SP6, KI3&6, REN15, BL15,23, 44&52. Reducing. Heart and gall bladder deficiency: waking up very early in the morning and being unable to fall asleep again, light sleep, dreaming a lot, propensity to being easily startled, timidity, lack of initiative and assertiveness, palpitations, breathlessness, tiredness, depression. Pale tongue body, crack around heart area. the pulse is empty. HT7, GB40. Reinforcing. Liver yin deficiency: waking up during the night, dreaming a lot, talking in one’s sleep, in severe cases sleepwalking, dry throat, irritability, blurred vision, feeling of heat, sore and dry eyes, dry skin and hair, dizziness. Normal tongue without coating, left guan pulse is floating but empty. LV8, REN4, SP6, PC7, DU24, GB13, BL47. Reinforcing. Liver and kidney yin deficiency: waking up during the night, dreaming a lot, talking in one’s sleep, in severe cases sleepwalking, dry throat, irritability, blurred vision, feeling of heat, sore and dry eyes, dry skin and hair, dizziness. Normal tongue without coating, left guan pulse is floating but empty. LV8, REN4, SP6, PC7, DU24, GB13, BL47,（至此与前一个一样。）KI3 . Reinforcing. If the patient have difficult to fall asleep, weak up during sleep, frequent dreams, palpitation, amnesia, dark complexion, night sweating, physically fatigue, loss stool, and gastrectasia, he/she may suffer from both heart and spleen deficiency caused by too much worry or stress. Tonify technique is suggested to use on BL15 and BL20, ST36, SP10 and Sishencong for nourishing the qi and blood. HT7and BL42 as the addition points may benefit for frequent dreams. Over consuming kidney yin will leads to yin deficiency and empty fire which may causes heart and kidney disharmonies. This is another patterns extended to insomnia. The clinical manifestations are over thinking or worrying at night, easily weak up while sleeping, five palms heat, sweating, thirsty, dizziness, tinnitus, amnesia, soreness or aching pain of lower back. To nourish the yin as well as clean the fire, BL15and 23, KI3, SP6 and PC5 have been proved as the effective points with reducing technique. Dizziness may getting better with needling GB20, and SI19 will benefit for tinnitus. Qi stagnation as a result of emotional problems which include anger and depression may create an ascending fire that can disturb the shen. This kind of insomnia sufferings may have dizziness and headache, difficult in fall asleep, easy to get angry, too mach worries, red eyes, bitter taste in the mouth, and pain in the ribs area. The main organ affected as a roots of this type is liver. To reducing and calming the liver fire, LV3, BL18, GB20, DU20 and SP6 are the helpful points. If the patients have other symptoms like tinnitus and red eyes, SJ17,and SJ3 will benefit for ear, Taiyang and LI5 will improve the eyes’ function. Irregular diet or over eating lead to food stagnate in the stomach thus turn into dampness may causes insomnia. The clinical complications including difficulty in falling asleep, stomach dictation, emotional changes, sigh, dizziness, vomiting, and cough with phlegm. 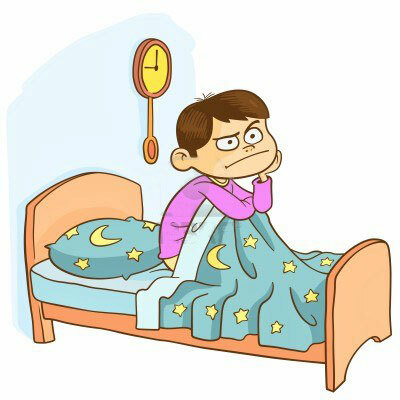 The main points for this type of insomnia are REN12, ST36 and ST40, BL21, and Si Shen Cong. Reducing method is suggested to use in cleaning dampness and phlegm in this case. Other points such as LI4, Yintang will help dizziness as well as PC5 may added to treat vomiting and nausea. Electronic acupuncture also have an significant effect in treating insomnia. The main points included Yintang, DU20, Anmian, and ear acupuncture points Shenmen. The frequent of this treatment is three times per week for three weeks. According to Yeung’s studies, needling these points with electronic acupuncture can help the sufferers improve their symptoms especially in sleep efficiency. Although electronic acupuncture are less effective than pharmacotherapy and cognitive behavior therapy, plus it is not much different from pure acupuncture treatment in short period, it still suggested to use due to safety and psychological reasons (Yeung 2009, p.1039). Massage or Tui-na is a part of TCM treatments have been reported as one of the effective way for helping insomnia by Tianjin hospital. They use both basic recipe and syndrome recipe in treating insomnia. There are four different treatments in each groups. In the basic recipe group, the therapies they use included: a) Start from Yintang, pushing upward to DU24 by two thumbs for sixty times, each time pressing these two points for about 30 seconds. This technique called “Kai Tianmen”. b) use two thumbs pushing the eyebrow outward as well as massage BL2, Yuyao, and SJ23 for 30 seconds. These therapies called Fentui Kangong. c) Warm up the middle jiao by rubbing the belly area about 5-8 minutes. The practitioner at this time has to warm up the palms by rubbing the hands first. d) Use thumb, index finger, and middle finger on both hands, kneading the muscles along the spine from DU1 to DU14 for 8-10 times. This is so called Nie-ji. The syndrome recipe group, the practitioner have to make a diagnosis first and chose a massage therapy which march with the syndrome. The main therapies included: a) For spleen deficiency patterns, massage the spleen meridian for about 200-300 times, as the same time, kneading and warming up CV12 area. b) For heart heat disturb he shen pattern, press or knead Xiaotianxin point for 200-300 times. c) For gallbladder qi deficiency pattern, pressing BL15 and BL19 (the back shu points of heart and gallbladder) about 30 minutes. d) For food retention in the stomach pattern, massage Ban men and ST36 for 30 seconds are suggested to use (Dong and Wang 2010, p.299-301). Abdominal acupuncture has been proved as one of the most effective treatment for insomnia in TCM. It works on the “tian” level of abdominal area therefore cause less pain and “de qi” feelings.The points selection are followed the “monarch, minister, assistant and guide” theory. Monarch points are the main point for one purport. Usually it leads the whole treatment. Minister points are the supporters of monarch points. Both of monarch and minister points will lead the treatment; they will together as a system. The assistant and guide points only can supporter the treatment, but not lead it. Monarch points for treatment insomnia is a combination of points called “force the qi to roots (or yuan)”, this including REN12, REN10, REN6 and REN4. The minister points is a group of the points called “four gates of abdomen” which are ST24 and ST26. The assistant and guide points are KI13, KI17 and the a-shi point called “Qi Pang” which is half cun from REN6. One point therapy is another helpful treatment for insomnia. Since some practitioner try to use less and most effective point in treating diseases, this so called “magic points” treatment are appeared. According to the huge quantity of point’s selection study, it is not possible to list all the therapy. In this case, the following points might be the most convenient and comfortable for both patients and practitioners. This including HT7, KI3, SP6, PC7, SI11, DU24, Si-shencong, An-mian, and Tou-Sanjiao. For varied points, the needling technique are slightly different. For example the KI3 point will work better with electronic acupuncture when use along in this case. The needle on PC7 could insert deeper till reach the SJ5. Traditional Chinese herbal medicine is other effective treatment of insomnia. The most commonly used herbal medicine in TCM are including different kinds of fruits, roots and rhizomes, cortex, rattans, fungus, and minerals. These herbs mainly work for calm the shen therefore benefit for insomnia. The following form shows the Chinese names, the western names, and the functions of those herbs.